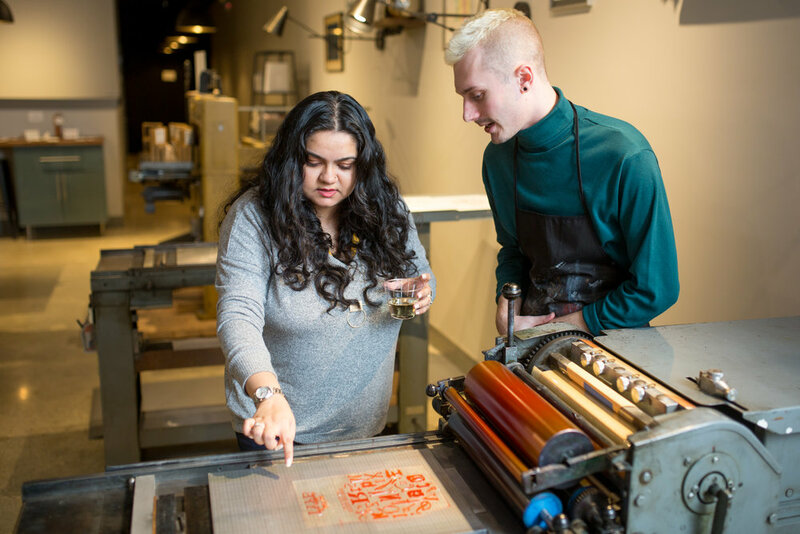 Host your next creative retreat, staff outing, or private event at Double Trip Press. 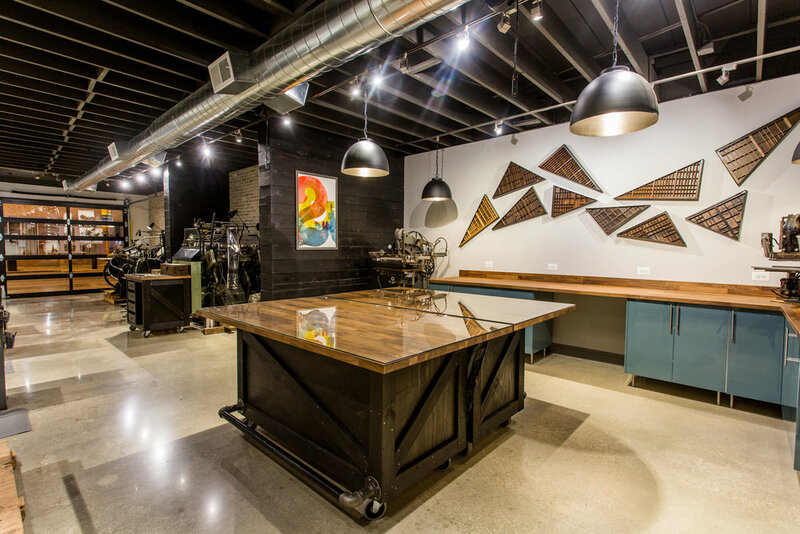 Our artfully designed space is the ideal venue for small groups who are looking to connect, unwind, and learn about the allure of letterpress printing. 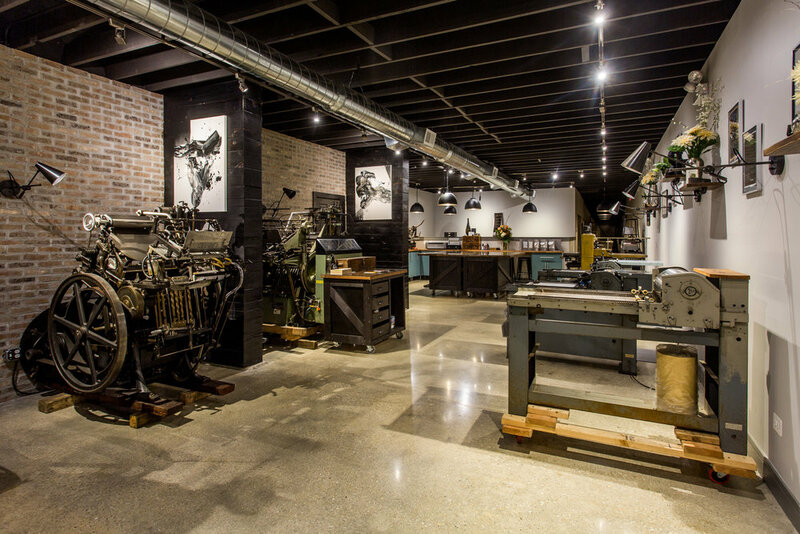 Aside from providing a unique space to socialize in, Double Trip Press staff can be made available to guide guests through a customized printing experience on our vintage presses. Host your event at the Double Trip Press studio! 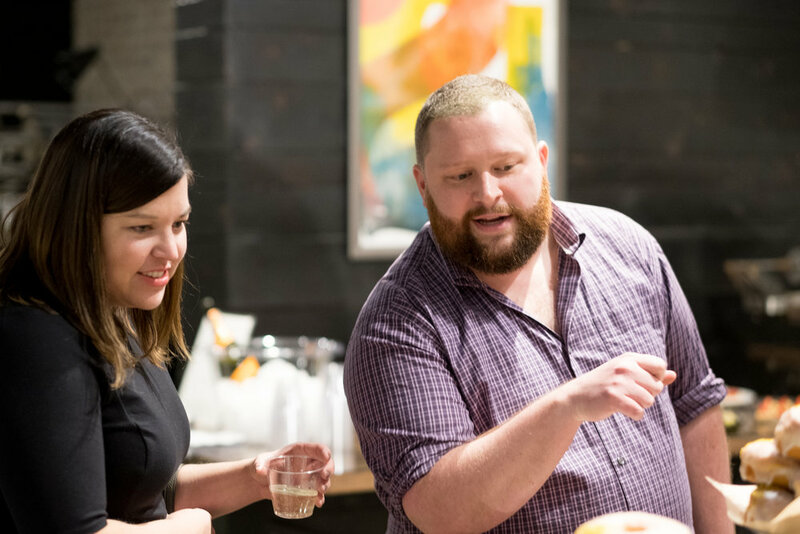 Event amenities include accommodation for around 30 guests, two large glass top tables for beverage/catering set-up, a small kitchen prep area, and a storefront bay door that opens the studio space to the vibrancy of North Halsted Street. Groups are expected to provide their own beverages and catering, however Double Trip has many wonderful catering suggestions. We understand that no two groups are alike and we are absolutely open to tailoring the perfect event to fit your needs. Choose from a variety of already existing images designed by the talented DTP staff. *We will provide paper, ink, and one-on-one printing instruction. Each guest will go home with A HANDFUL OF PRINTS to frame, gift, and share. 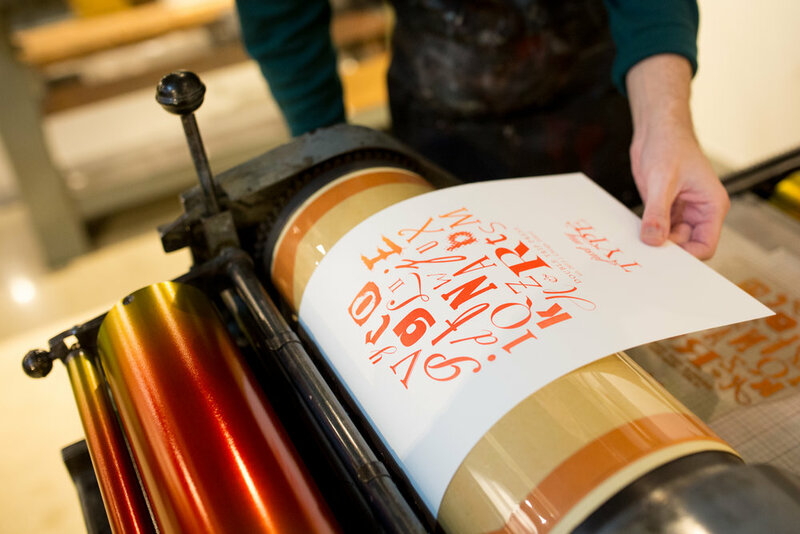 With our traveling "mini" printshop, we can bring the inky-fun to you! Our little 5”x8” Chandler & Price printing press loves to travel! We can help create an unforgettable, custom printing experience in the comfort of you business office, home, or wherever! Ask about having our table top press come to your next special event.